Pamper yourself as you lounge on the palm-studded El Jobo beach or soak up the sun from your private and fully-furnished balcony. 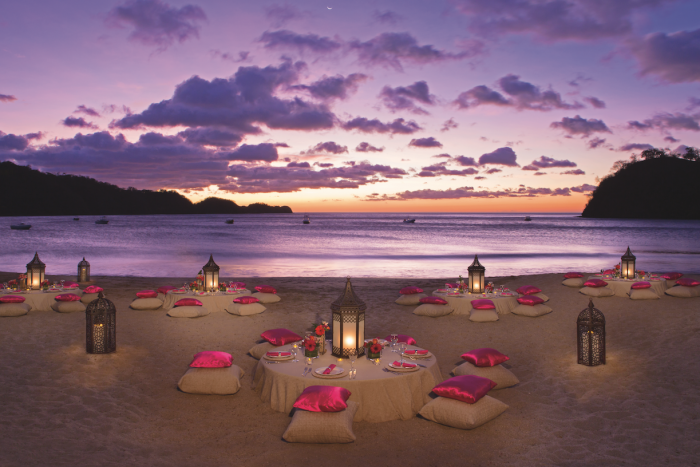 Enjoy a romantic dinner on one of the most secluded beaches in all of Costa Rica. 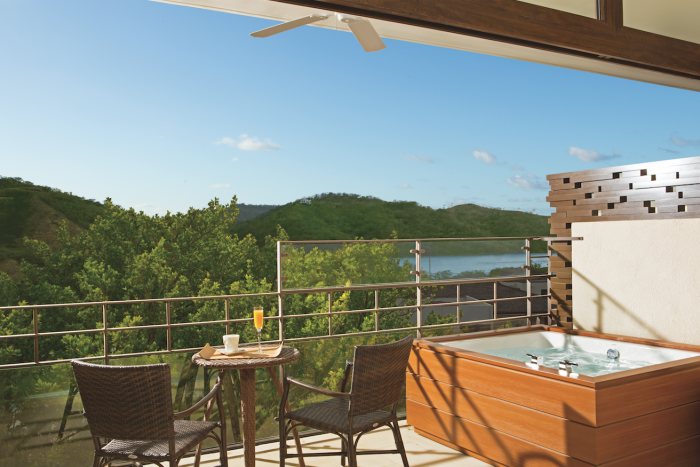 Explore the tropical jungles of the Santa Rosa and Guanacaste National Parks, as both surround the property. You can even take a ride down the two-story waterslide into the expansive pool. 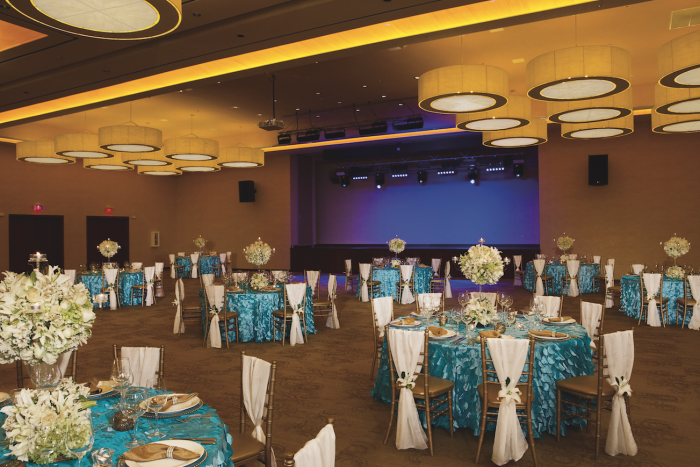 This resort offers a soothing atmosphere to make your destination wedding as relaxing and stress-free as possible! 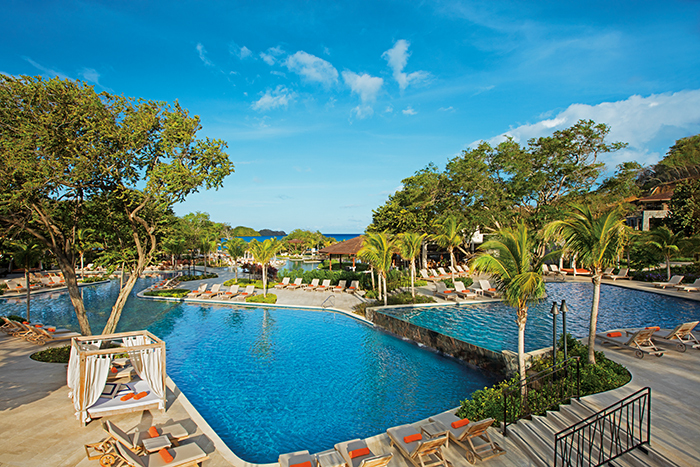 This is the only resort in Costa Rica to feature swim-out rooms and also has the largest swimming pool. Perfect resort for wildlife lovers because you can see monkeys in the trees and sea turtles in their nesting sites along the beach. They offer babysitting services, kids club, and teens club, so you can have all your family and friends included in your wedding! 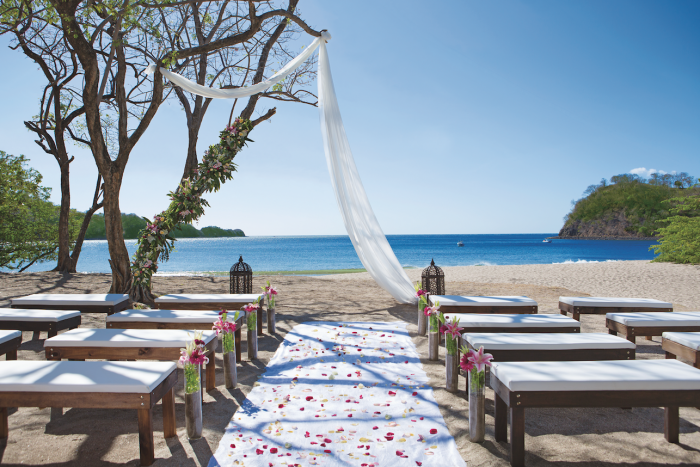 As one of Dreams Resorts and AM Resorts preferred partners we can grant our couples exclusive perks such as romantic dinners, continental breakfasts in bed, spa treatments and more based on availability! Contact an agent to find out more. La Arboleda Beach – 300 guests max, Santa Helena Beach – 200 guests max, Las Mareas Courtyard – 120 guests max, Las Mareas Terrace – 80 guests max, Wedding Gazebo – 40 guests max, Rendezvous Terrace – 30 guests max. The resort will host 1 wedding per day Monday thru Saturday. It is suggested to have your wedding ceremony 1 hour before sunset. Rooms range from $170 – $260 per person per night. Every room includes wifi and a fully-furnished balcony or terrace that includes a jacuzzi. All deluxe, master, and presidential swim-out suites have direct access to a pool from their private terraces. Children ages 2 and younger stay free, and kids 12 and younger can stay free during certain times of the year. 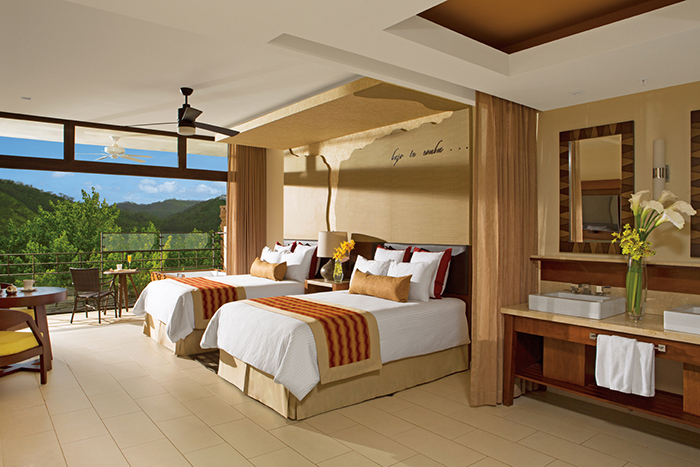 There are 447 total guest rooms with views of the ocean, pool, jungle, or mountains. Certain rooms are oceanfront as well. Preferred Club Master Suites and rooms of higher categories all include separate separate living rooms and bedrooms and have separate dining rooms as well. Guest rooms are spread throughout the property but are within walking distance. The resort offers handicap accessible rooms upon request. High-season months typically include January, February, March, April, and May. It is always encouraged to have your guests book their stay 6 – 12 months in advance since the hotel can sell out during these months. All rooms allow up to 2 adults and 2 children or 3 adults max. The Preferred Club Master Suite and all higher room categories are adults-only rooms with 2 adults max. Children are ages 12 and younger. Dreams Las Mareas is located about 50 miles from the LIR airport. 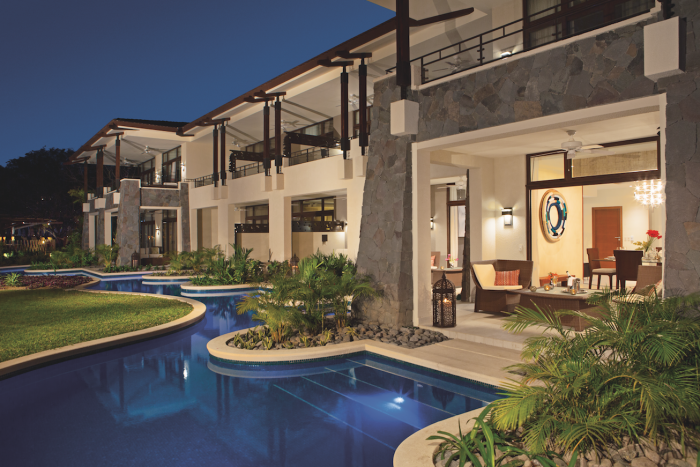 Dreams Las Mareas is located 50 miles from the LIR airport. A: That is very beautiful and full of nature! A: I love the fact that the bride and groom are the reason people will travel so far, to share their special day with them. A: There is so many things to say! One of those times when the bride decides to risk the event and select an outdoor location in a rainy season is always a challenge we experience, but we always save the day!